The vacant lot at 8127 Superior Avenue N.E. sits quietly in the midst of an East Side neighborhood that has seen a great deal of upheaval and civic unrest. 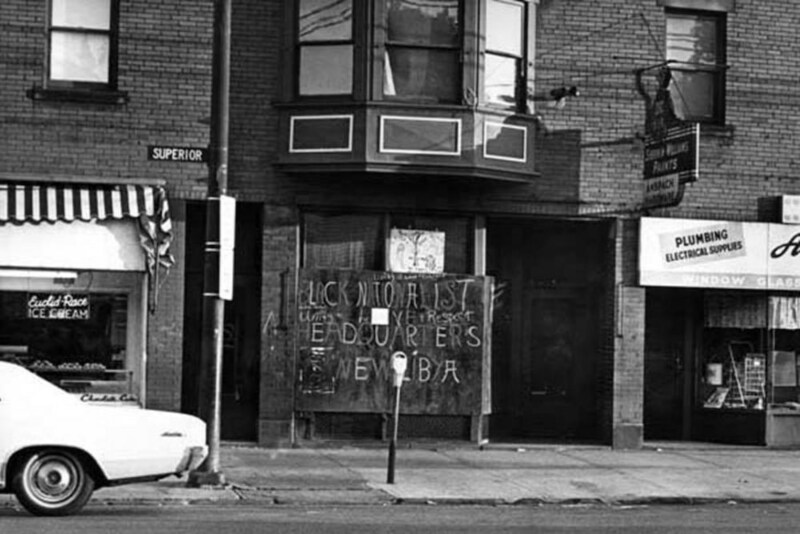 In the late sixties, the lot was the home of the Afro Set Black Nationalist Party for Self Defense storefront as well as the headquarters of the group of the same name. 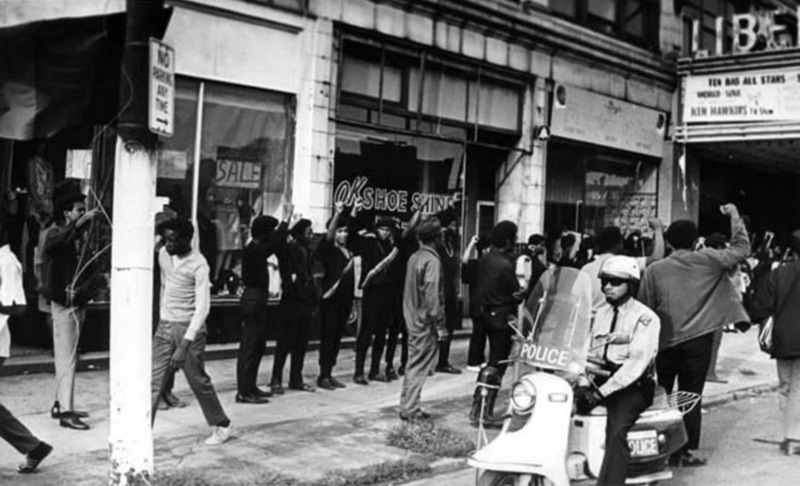 Founded by Harllel Jones (later Harllel X) in late 1968, the Afro Set was largely a response to the rise of Black Nationalist sentiment due to escalating racial and socio-economic tensions that were prevalent not only in Cleveland but across the country. Jones had grown up in the East Side neighborhood of Hough, and his experiences there helped shape the Afro Set’s Nationalist core. 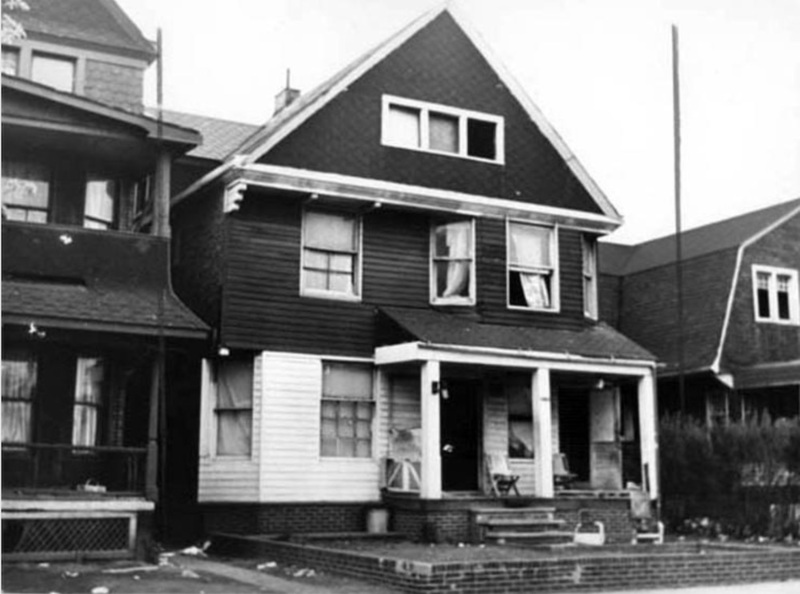 Cleveland’s East Side was a victim of the migration to the suburbs that most urban centers suffered in the post-World War II era, and more critically, of the economic policies of the 1950s and ’60s that caused the rapid dereliction of what had become a series of predominantly black neighborhoods, with Glenville and Hough (the neighborhood where the Afro Set was located) suffering some of the worst decay and lack of governmental aid. Administrations prior to the election of Mayor Carl Stokes were marred by a racially conservative tendency to ignore urban neighborhoods, often tying up (or underfunding) desperately needed resources as well as ignoring the overpopulation, poor sanitation, and high unemployment rates in such areas. While Mayor Stokes’ programs such as Cleveland: NOW! 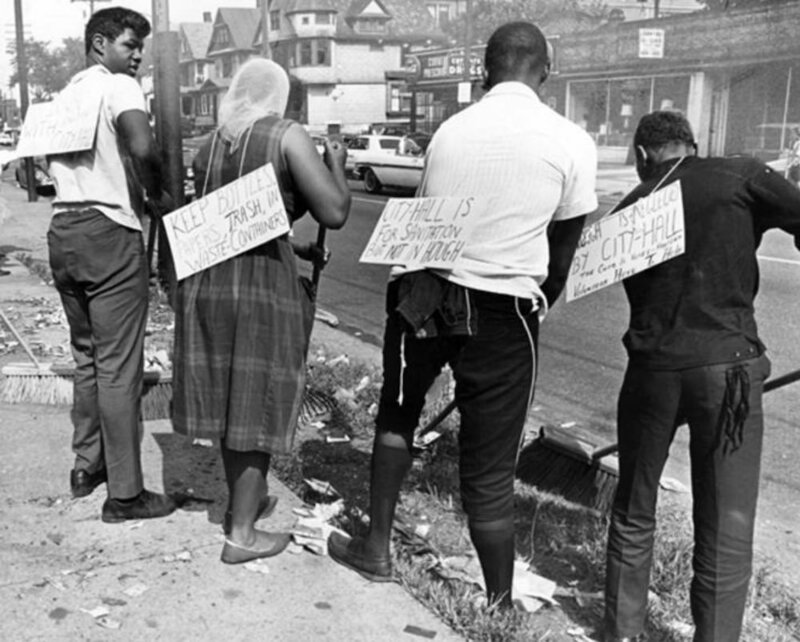 were intended to address these issues, tensions in neighborhoods like Hough produced increasing levels of hostility towards even their own residents, with riots breaking out in the late 1960s following racial confrontations. Black Nationalists like those of the Afro Set would argue that such instances were almost inevitable given the charged atmosphere of the era. 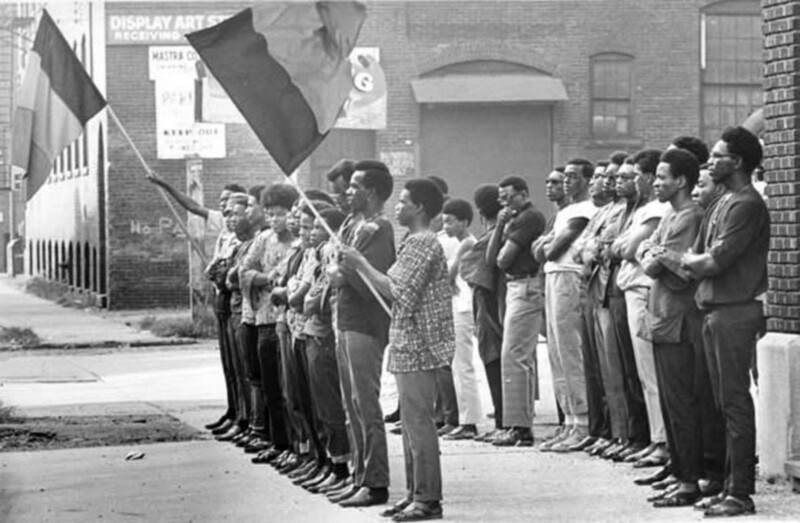 Black Nationalism began as a movement predominantly among urban African Americans who focused on the belief in self-regulated black agency within the larger nation. 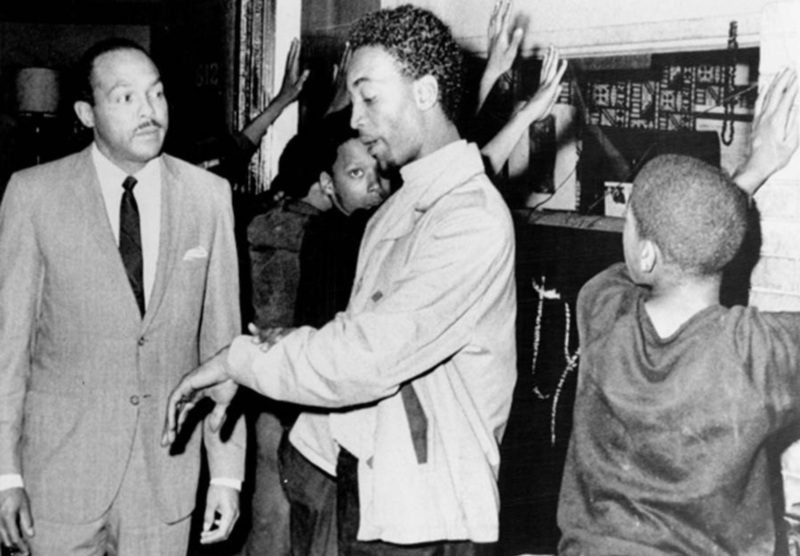 As with the Civil Rights movement of the same era, Black Nationalists were concerned with the rights and discrimination that dominated postwar America, but the Nationalists were generally convinced that a nonviolent approach to the tensions between black communities and the establishment was ineffectual at best. Therefore Nationalist groups such as the Afro Set, while promoting black community values and a return to African culture, were more militarily inclined and also included a focus not just on black agency but also on separation of black society from the national whole. The Afro Set was a beneficiary of the Cleveland: NOW! program, which represented Mayor Carl Stokes’ attempt to help blighted communities through a series of grants that were used in hopes of promoting a more positive urban experience. Jones’ Afro Set was not only a storefront that sold African cultural items and gave urban black youths a place to work, it was also meant to be a community and cultural institution where area people could come and hear lectures on prominent blacks such as Marcus Garvey and Malcolm X, as well as receive lectures on black culture in general. However, the message of black cultural identity tended to get lost in the coverage that men such as Jones received in the press: Black Nationalists were generally seen as overtly violent and communistic militants who threatened the status quo, and interviews from Jones and his compatriots tended to verbally confront the press and authority figures such as the police with thinly veiled threats and rhetoric. 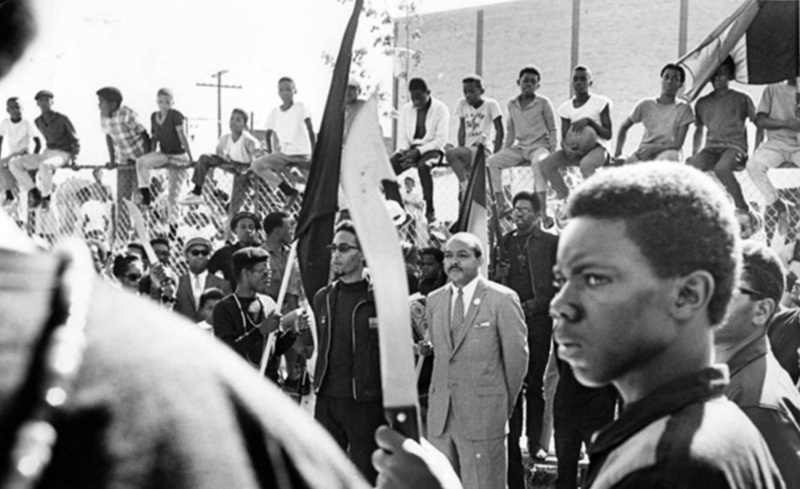 That is not to say that all Nationalists were focused on violent revolution, and even Jones did eventually move his focus to helping men reintegrate into the society that he had vehemently opposed; but the legacy of violence, and the bias shown towards groups like the Afro Set means that today’s urban blacks have little to show from an era that caused so much upheaval and social change; there are far too many vacant lots that are fading back into the landscape with their stories fading from memory. Toni Berry, “The Afro Set,” Cleveland Historical, accessed April 18, 2019, https://clevelandhistorical.org/items/show/777. Jones, Harllel. “What We Want”. City Club Forum: Harllel Jones, Black Nationalist Leader [audio]. City Club of Cleveland. 1969. 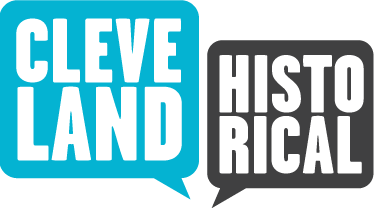 Cleveland Memory Project, http://images.ulib.csuohio.edu/cdm/singleitem/collection/cityclub/id/65/rec/16. Williams, Rhonda. Concrete Demands: The Search for Black Power in the 20th Century, New York, NY: Routledge, 2015. Zadell, Michael. "By Any Means Necessary": The History of New Libya/Afro Set as a Case Study of Black Nationalists in Cleveland 1964-1971. 2010. Cleveland Memory Project, http://images.ulib.csuohio.edu/cdm/singleitem/collection/general/id/6349/rec/1. Published on Dec 11, 2016. Last updated on Jun 30, 2018.